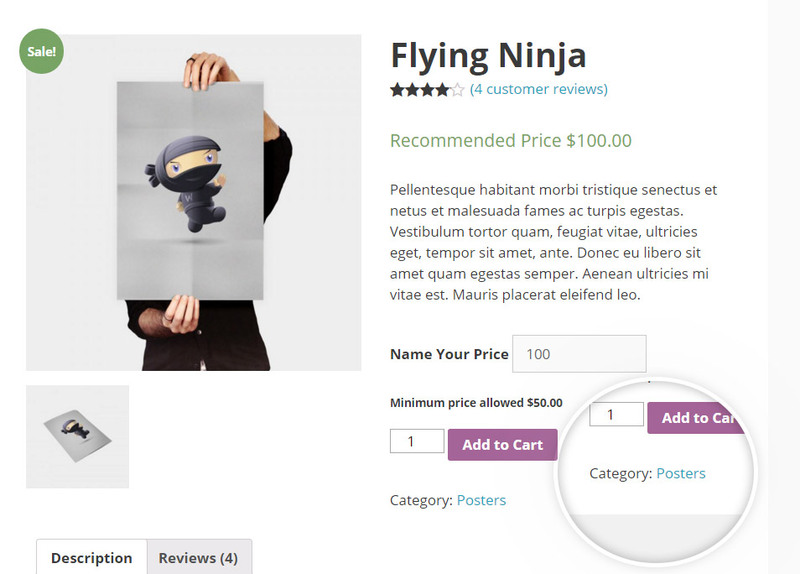 The plugin lets you apply an open price to all products of a category at the same time. 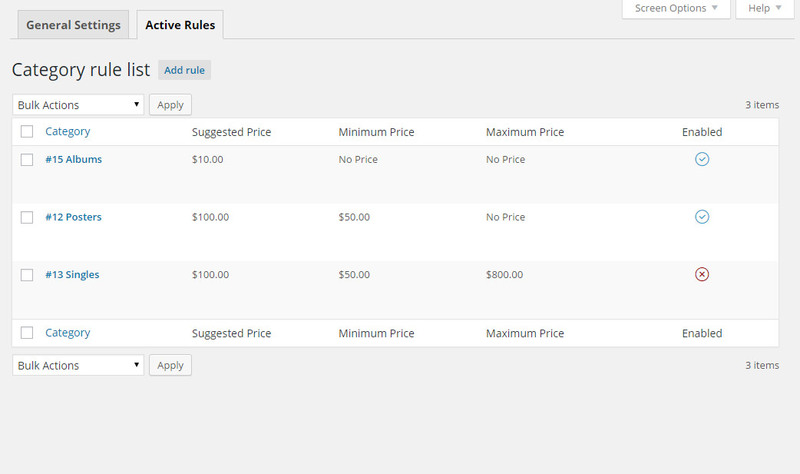 In order to do it, go the settings panel of the plugin from YIT Plugins -> Name Your Price, click on the tab “Active Rules”, and add a new rule with the “Add Rule” button. Now configure the price settings you want to apply and select the interested categories with the related search field. 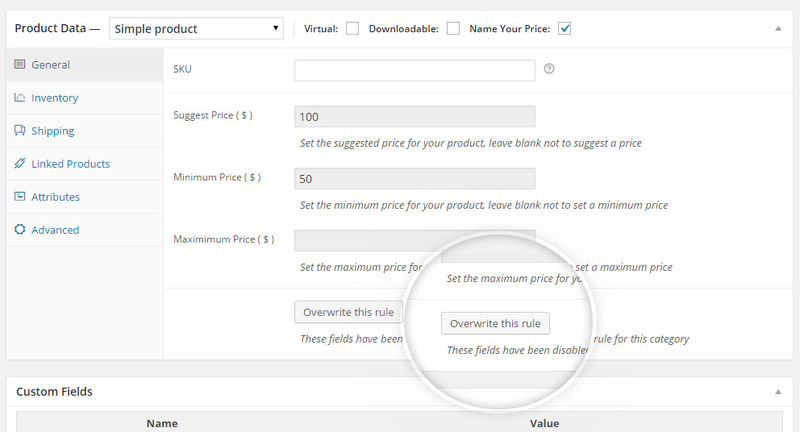 Do no forget to activate the “Rule behavior” option to allow the plugin to activate the rule correctly. In this way, you will just have to deactivate the option in order to deactivate the rule without removing it. Once the configuration will be completed, click on the “Add category rule” button to save. From this moment on, all products of the selected category will have an open price with the option here indicated. 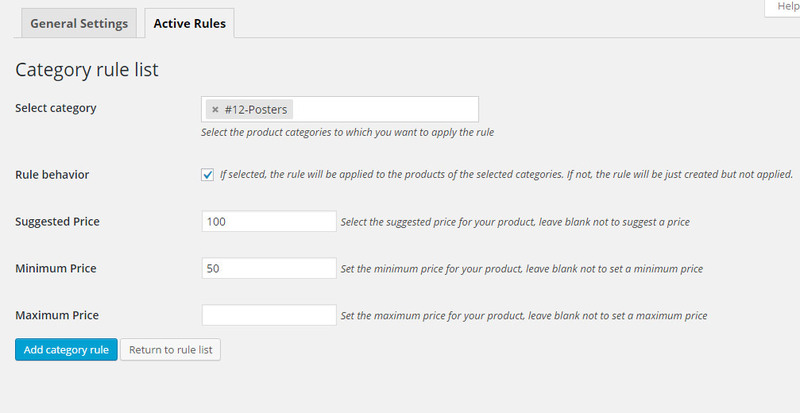 The list of the created rules is available in the section YIT Plugins -> Name Your Price -> Active Rules. Please note: The category rules can be overwritten from within the single product.